Our Rx Express family is so thankful and blessed to reopen in a new location and continue serving our community. We all have suffered great losses after Hurricane Michael, but we are overcoming! We have missed you, and we look forward to seeing your faces, hearing your stories and reconnecting with you. Come visit our new location and experience the same personal touch only Rx Express can give. We can’t wait to see and serve you! 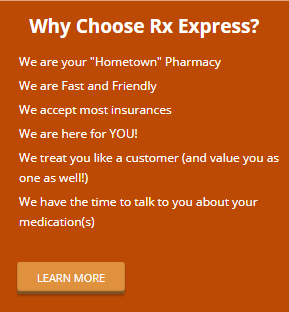 At Rx Express Pharmacy, we guarantee our Good Neighbor promise to treat you like family. We care about your well-being and offer the very best service to our clients. 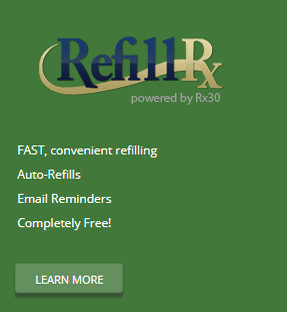 Our goal is to fill every prescription accurately within 15 minutes because we know your time is valuable. We won’t keep you waiting. 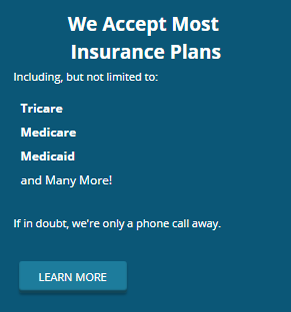 Most major insurance plans including TRICARE, Medicare, Medicaid, Blue Cross Blue Shield of Florida, Staywell, Prestige, and more, are accepted. Come in with your next new prescription and experience the Good Neighbor difference at Rx Express Pharmacy – locally owned, locally operated and locally loved. Our staff are trained to be able to detect duplicate medications, therapeutic duplication, as well as ingredient interactions to safe-guard your well-being. Our goal is to help you live healthier and this is just one way that we accomplish that goal. In and Out – That’s our Motto! Our team is trained to get you IN and OUT as quickly as possible. We gaurantee that you won’t have to wait very long and our “average” wait time is under 10 minutes! Talk about FAST, FRIENDLY SERVICE!! Our staff is trained to help you with every prescription need. Whether you have a question about Medicaid Share-Of-Cost, Insurance Billing, or what medication is best for you – feel free to ask one of our staff members today on how we can better serve you.